It’s the first Wednesday of the Month and time for The House That Stamps Built color challenge! You have until Tuesday, June 7th to enter for a chance to win a $25.00 gift certificate at Repeat Impressions. Also, if you use a Repeat Impressions stamps, you will receive an additional entry for a better chance to win. For my card this week, I was inspired by a card design that I came across on Pinterest using die cuts in a chevron pattern. 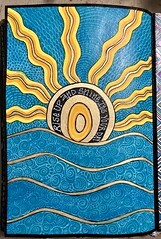 The die I used is “Sunny Studios” Fishtail Banner Dies, which comes with four (4) different fishtail/chevron patterns. 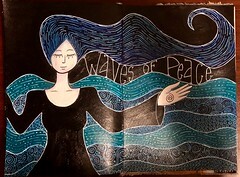 I will be featuring “how to” do this technique on my next “project of the week” on June 13th, so stay tuned. For my sentiment, I chose to use the Repeat Impressions stamp, “Happy Birthday 1113-D and Make A Wish 4034-F ” which I stamped in Versafine Black Onyx Ink. We hope you’ll come join us at The House That Stamps Built, because you may be our next winner! Oh, and don’t forget to get your discount code from my blogs sidebar when you shop at Repeat Impressions Stamps. Cards in Envy Challenge – Deep Blue! Who doesn’t love blue? I know I sure do. For this Cards in Envy Challenge I discovered a new technique I found on Pinterest using a base of white pigment ink followed by Distress Ink after it’s dried. WOW, does this given some dynamic results. 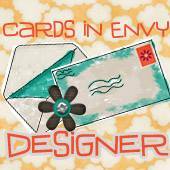 Remember, at Cards in Envy we ask that you make your card fit into a standard A2 card though, we have loosened up our requirements and no longer require a 4 1/4 x 5 1/2 inch card as long as it fits in the A2 Envy. The colors I used with this card is Blueprint Sketch and Chipped Sapphire Distress Inks over white pigment ink from Simon Says Stamp. You can find the link on how to do this technique here. 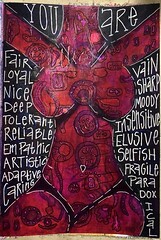 My sentiment is by Hero Arts “Happy Mother’s Day” set. I hope you will join us at Cards in Envy this week and show us some Deep Blue cards! The challenge will run through Sunday, May 29th. It’s the first Wednesday of the Month and time for The House That Stamps Built color challenge! 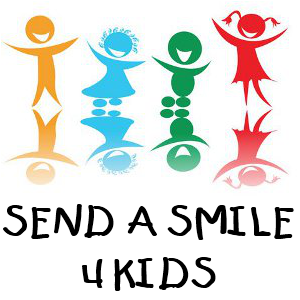 You have until Tuesday, January 12th to enter for a chance to win a $25.00 gift certificate at Repeat Impressions. Also, if you use a Repeat Impressions stamps, you will receive an additional entry for a better chance to win. For my card this week, I chose to use the Repeat Impressions stamp, “Deer Family Silhouette 4221-K .” I stamped the family in Hero Arts Navy Shadow Ink and masked off a oval to create the background in Stormy Sky Distress Ink. 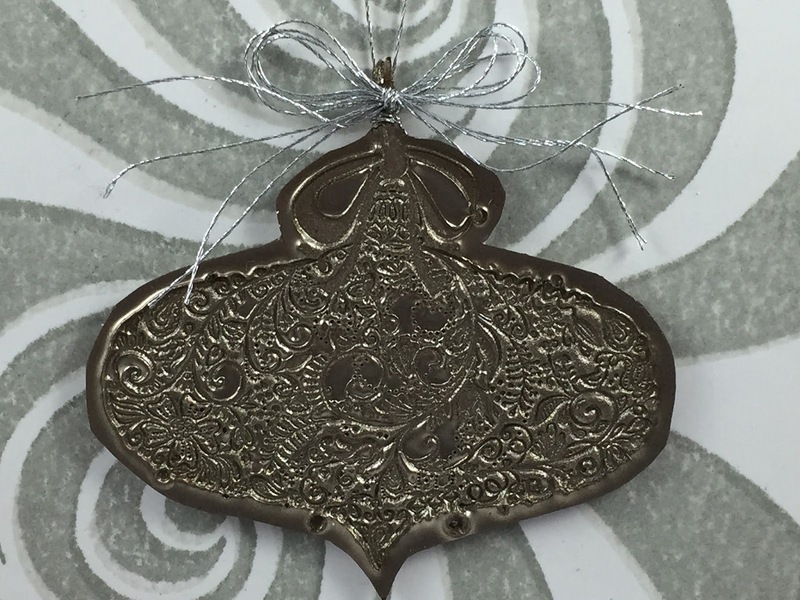 I then stamped “Random Snow 3410-C, and “Snowflake Outline 8916-E” in white pigment ink and then applied glitter over the entire image. To finish, I added some gems in multiple shapes. It’s Friday and time for a new release at A Day For Daisies! In addition, we are are also starting a new challenge inspired by the below photo of “Modern Christmas.” We’d love to have you pop by the ADFD Blog by December 17th to enter your card for a chance to win some free images! For my Design Team inspiration I used the image, “Christmas Wish” today. I started by paper piecing the sweater with Studio Calico paper. I then colored my skunk with cool grey Copic Markers and shaded with warm grey’s. The pine boughs are from a Penny Black stamp set called, “Nature’s Gift,” which I embossed with clear over white ink. The sentiment is from My Favorite Things and works so perfectly with this image. 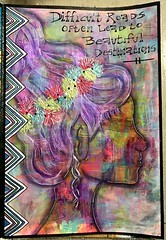 We look forward to seeing your creations not only at A Day For Daisies Blog but also on the ADFD Facebook Community Page! It’s the Crafty Nurse here back with a little holiday spirit! Okay, okay, it’s a little early, but would you believe there are only 12 more weeks until Christmas? It’s okay though, Pat has released some gorgeous Holiday stamps that you can use to make multiple cards or gift sets so I thought I’d share a few quick ideas to accomplish that. 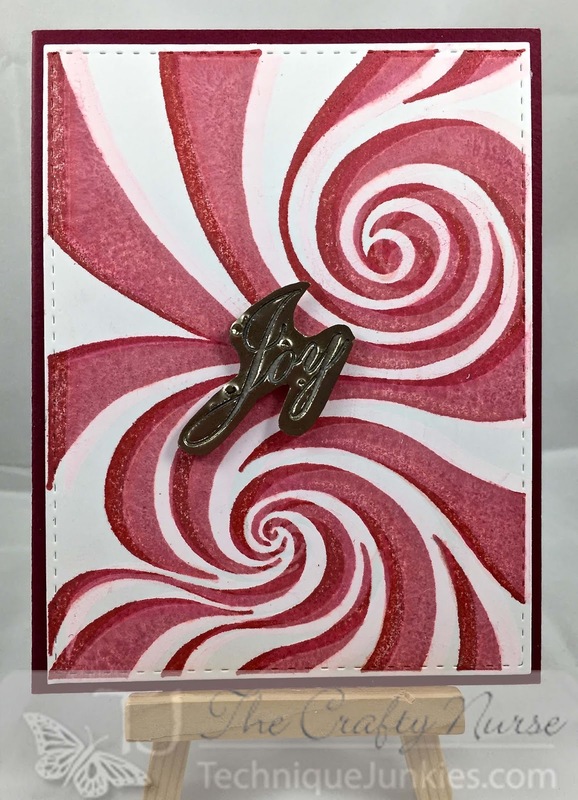 All my cards began with the Peppermint Swirl stamp from the September release. 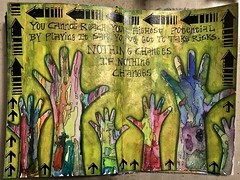 I stamped the first layer with white pigment ink and then a second layer of dye ink. Easy peasy! 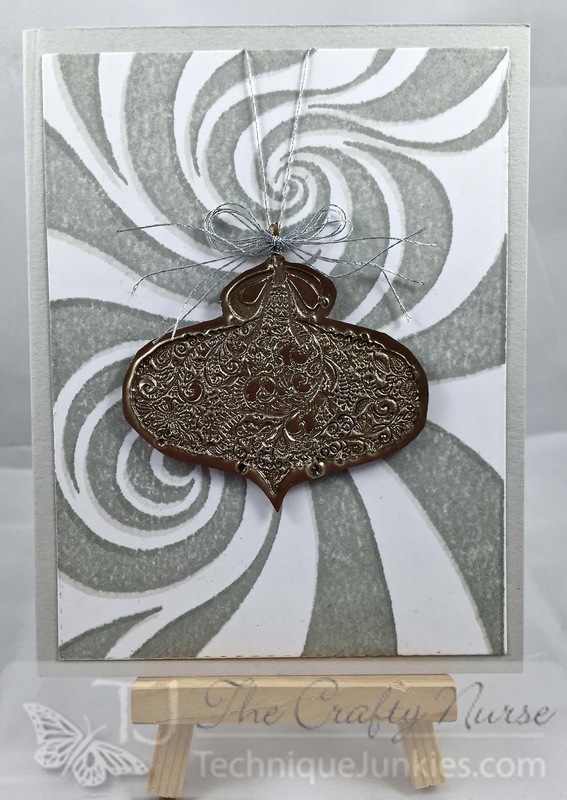 The first card’s focal point is another great September release called, “Ornament 1.” I embossed 4 layers of Liquid Platinum from Ranger and then stamped right into the wet powder after it was melted. This works great for very detailed stamps. For this card I only used the white pigment ink and no dye overlay ink. 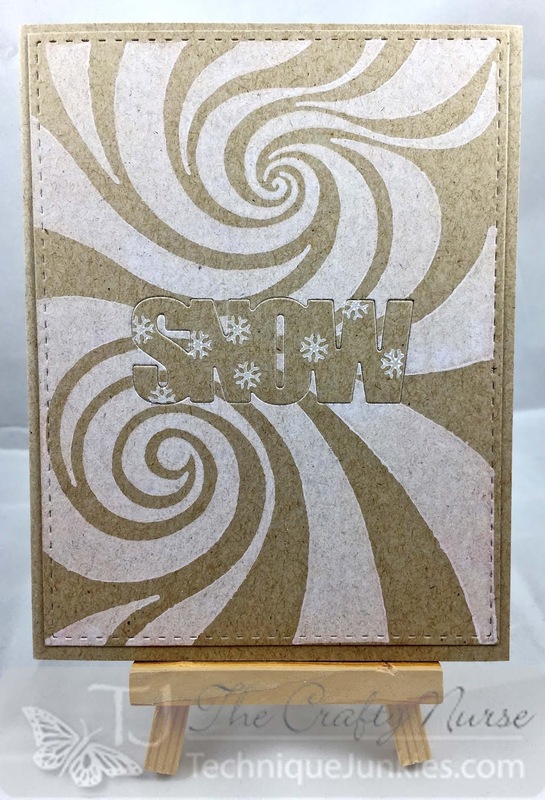 I did some inlayed die cutting with the snow die making for a very quick and easy card that is great to send through the mail because it’s completely flat. My third card uses the same technique as card #1 with the focal stamp being “Joy”, also from the September release. 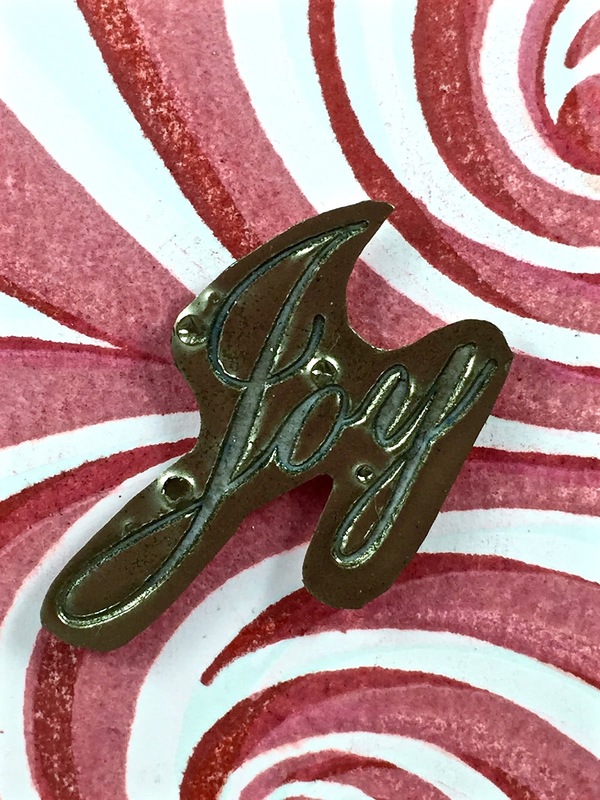 Close-up of the “Joy” stamp dipped in multiple layers of embossing powder after it was heat set. I hope you’ve gotten a little holiday spirit and look forward to seeing you at our Blog Hop that starts tomorrow on October 1st!